The Frugal Family Life: $1/1 Ajax Laundry Detergent Plus Walmart Scenario! $1/1 Ajax Laundry Detergent Plus Walmart Scenario! Click here to print $1 off any One Ajax Laundry Detergent Product! 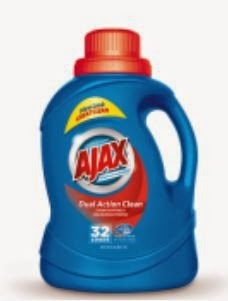 Walmart sells Ajax Detergent for $2.50 making it just $1.50 after the coupon! We can also use this at stores that double to take $2 off of ONE bottle! I’ll have to check the price.